I assume the point of these devices is to convert wall outlet power into something useable for electronics projects/products. In my case, I need 24V at 5A for testing an electric motor. And I know how I can connect my motor controller with regular stripped wires: unscrew the caps, put wire around screws, screw them back tight. But what wires/adapter combo would I use for the wall outlet (e.g. the 2 or 3 prongs)? I don't even know what terminology to search online. Thank you for any help, and I'm also open to other suggestions for my power supply query (the electric motor project). The supply has ground, neutral, and live mains connections, therefore you should get a 3-prong cable. Green connects to ground, white or blue connects to neutral, and black or brown connects to line. But never rely on color alone, a quick multimeter check of the wire to the pin will prevent miswiring! 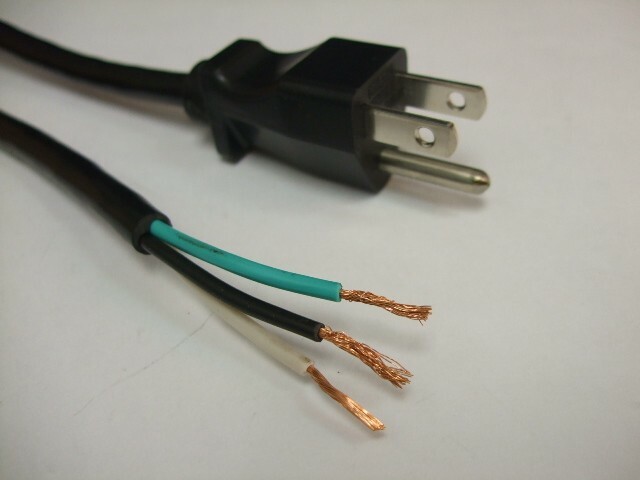 Consider crimping insulated spade lugs to the wires in order to have a better connection. And as always, all electrical safety rules and guidelines apply. The power input to that supply are the three terminals at the far right. They are labeled with the ground/earth symbol (something like Ξ), and "N" and "L". NEUTRAL = power cord White (or light blue) to the "N" screw. LINE = power cord Black (or brown) to the "L" screw. This assumes you are using a pre-wired power cord (as an old computer or printer power cord that you recycled). The old North American standard was green/white/black. The new "Euro" standard is green&yellow / light blue / brown. Be sure to use all the safety features like the plastic cover over the screws, etc. Mains voltage can kill you AND burn down your house if you are not careful. What you are looking for when not installing this as a permanent fixture, for US household 5-15R receptacles is a standard NEMA 5-15P to ROJ (Removed Outer Jacket) cable. Preferably polarized. These can be found at any home improvement store or online. You can then terminate the wires in a ring or spade terminal, typical just crimped on. The rightmost 3 connections are for "hot", "neutral" and "equipment ground" from your AC power supply. AC Mains power can kill you, so anything you do with it needs to be "by the book". There literally is a book :) Here is the gist. You need to put this gadget into a UL or CE listed (certified) enclosure of some kind. The cord needs a properly fitting grommet or other protection where the cord goes through the enclosure. The cord must also be listed. The easy way is to hack the end off any PC power cord or extension cord. The cord will be stranded wire. The power supply documentation will tell you whether you need a connector such as a crimp-on spade teminal to attach it. Follow those rules. If the enclosure is all-metal, you should bring the power cord's ground first to the metal enclosure, then use a jumper wire to the power supply. Not the answer you're looking for? Browse other questions tagged power-supply voltage power current converter or ask your own question. 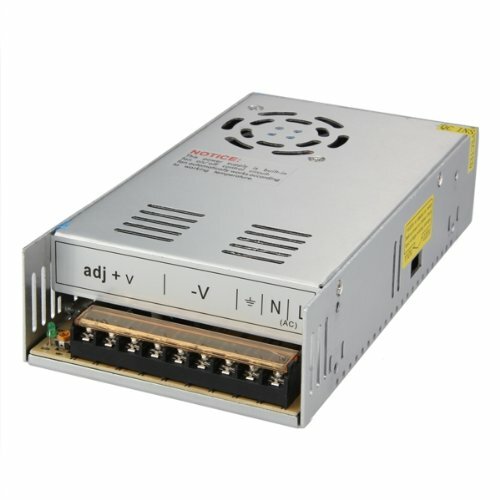 What is the difference between “medical” grade and ordinary AC-DC power supplies? How much AC will I need for my 12v DC transformer?